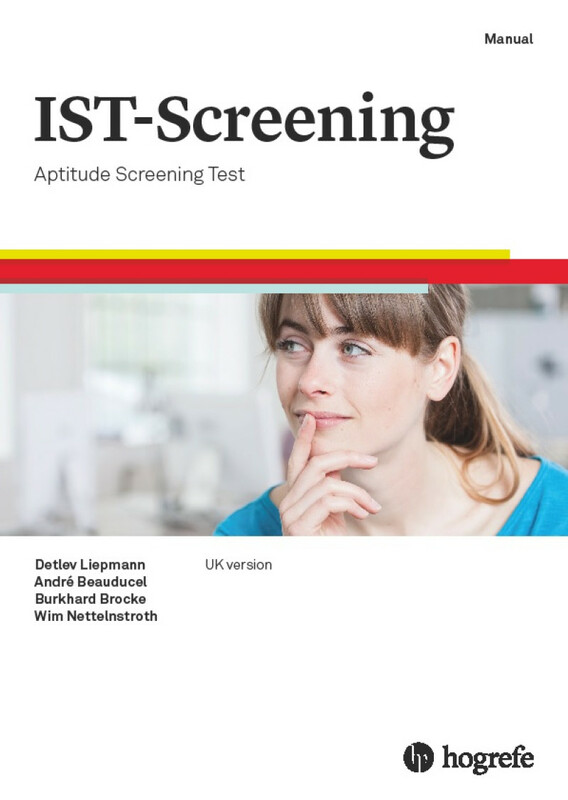 Effective and economical, the IST-Screening test is particularly suitable for use with large numbers of applicants early in the selection process. Designed specifically for use in the early stages of selection, the test consists of three sections which quickly and effectively screen for aptitude in three distinct areas – verbal (Analogies), numerical (Number Sequences), and non-verbal (Matrices). The overall score assesses logical reasoning ability and provides a sound basis for deciding which applicants should progress to the next stage of the process. Now with new UK working population norms, IST-Screening is also available in German and Italian, and a newly developed French adaptation will be published later this year. Free trials available! Contact us today to claim your free trial, quoting code 'ISTWEB'. To access tests on our HTS 5 platform, users can choose from either a subscription or a non-subscription option. With the subscription model, users will pay an annual fee (now half price!) – which then allows them access to a full range of discounted pricing, based on the quantities of test takers they have. Those opting not to use the subscription model will pay our regular prices which include our full-service administration fee. Visit this page for further information, or contact us by phone (01865 797920) or email to discuss the right fit for you. What are the benefits of the IST-Screening test? IST-Screening allows unsuitable applicants to be screened out early in the selection process, reducing recruitment overheads without compromising quality. IST-Screening saves time and money, effectively evaluating verbal, numerical and non-verbal aptitude in less than 30 minutes. Unlike similar tests, IST-Screening gives a total score across all three areas of aptitude, allowing an overall assessment of applicants. Online administration is quick and easy via Hogrefe Testsystem 5 (HTS 5), while online scoring guarantees accuracy and removes the need for manual scoring. How does the IST-Screening test work? Analogies are an indicator of verbal intelligence. This subtest assesses abilities in the handling of linguistic material in the context of logical reasoning. It involves both mastery of vocabulary and the ability to identify relationships between concepts. Number Sequences are an indicator of numerical intelligence. This subtest assesses arithmetical skill and the ability to identify logical relationships between numbers. Matrices are an indicator of non-verbal intelligence. This subtest assesses the handling of figural and pictorial material. It involves, among other things, the ability to identify logical relationships between figures. These three different elements involve both inductive and deductive reasoning, resulting in a total score for all three tests which indicates the test taker’s logical reasoning capacity. As the total score comprises verbal, numerical and figural components in equal proportions, the assessment gives a broader picture of general aptitude than would be obtained by focusing on just one or two elements. View and download the IST-Screening flyer here.